Est. in 1949, MIT Men's rugby club has a rich tradition and is one of the oldest rugby clubs in the Boston area and New England. The club currently competes in NERFU Men's Division III. MIT played their second game of the Spring season on a beautiful April afternoon at Briggs field. Having identified some areas of weakness on their previous outing against Charles River, MIT had worked hard in training for the week and were determined to show their improvement. After five weeks of pre-season practices on cold dark evenings, with no regard to snow, sleet, rain or blowing wind, MITRFC looked forward to the first game of the spring season. The grass pitch was too wet to play on so the match was moved to the turf pitch. While the day was sunny, a stiff wind made playing conditions challenging. The match started with the usual early season jitters as players on both teams adjusted to playing against an opposition rather than practice drills. We would like to welcome you to our new MIT Rugby Store. Currently we are selling the Alumni Dinner tickets (plate), replica jerseys, alumni game jerseys, and club polo shirts. We plan to extend this in future to provide future club gear, merchandise, and events. The current store is only open until April 11th, 2011 due to ordering restrictions with our gear provider. 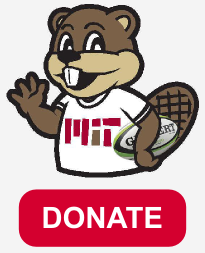 Please visit the us at the MIT Rugby Store. GEAR UPDATE: The majority of the gear has been shipped to people. We are waiting on responses to some emails sent last week about sizing. We are looking forward to welcoming home our alumni, with open arms and tackling shoulders, for a festival of rugby on May 21st. Details about the event will be forth coming from our Alumni Relations Officer Steve "Slasher" Lasher, but for now let us reassure you that there'll plenty of rugby, recollection, and revelry. Last season's game was bathe in the glorious sunshine of an early April afternoon, on which the current team came out victorious in a close fought but altogether thoroughly enjoyable, good natured, and entertaining game. Earlier in the season, Monadnock came down to MIT for a well-played, fun match that ended up very well for MIT (final score 62-0, MIT). However, MIT were taking nothing for granted as they made the trip up to what turned out to be a beautiful, soft pitch surrounded by mountains and trees, still with a lot of autumn color. It was a good bit colder than Cambridge, so after a long warmup MIT looked to come out hard and fast, and keep the temperature up for the duration. The early game saw a lot of penalties, but also a lot of hard, well-contested play. The two remaining undefeated teams in NERFU DIII clashed on a bright fall day in what would prove to be a very exciting match. Both teams came out hard- MIT put in an early try. It seemed like defense would rule the day until after a lot of hard rucking and tackling on both sides, Saratoga were able to go wide for a few quick tries. MIT came back fired up in the second half, attacking hard and keeping defensive pressure up. MIT’s efforts were rewarded with a few tries and the lead. MIT drove out to Springfield on a crisp, sunny afternoon for a hard, well-contested match against the Springfield Rifles. The first half was characterized by good defense on both sides, though the MIT backline was able to break through for a quick try early. Springfield’s large, experienced pack gave MIT trouble in the scrums, but MIT were able to stop them in open play. The second half continued to be a defensive battle with good hits both inside and out in the defensive line. MIT made the drive up to Rutland, VT to beautiful weather and a really nice pitch. Both sides came out hard, with Rutland threatening early but MIT’s defense held its ground. After more hard, physical play MIT were able to put some points on the board via solid scrums and good back line play. MIT took advantage of some overlaps and opened up Rutland’s defense for three tries (two converted). A converted penalty kick on top of that made the score 22-0 in favor of MIT going into halftime.